Rina Kirshner is the Vice President of the Russian American Foundation and directs the Bolshoi Ballet Academy Summer Intensive. I was fortunate to speak with Ms. Kirshner recently about the program’s features and the many opportunities it provides, as well as what they are looking for in auditions. JD: Was the BBASI your brainchild? 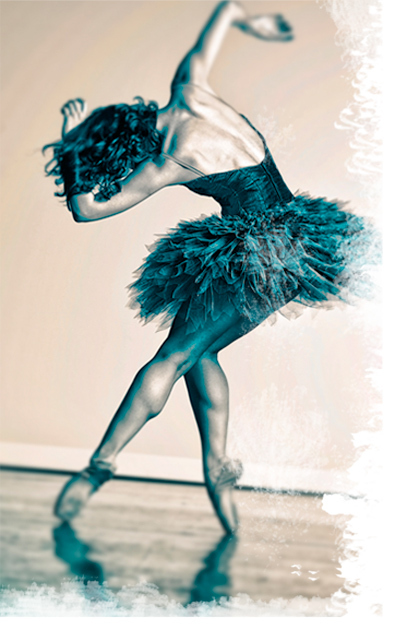 What inspired you to pursue cultural development specifically through ballet? RK: Actually, the program first came to the US many years ago through a partnership with the Ford Foundation. They would come to the US for 1-2 weeks in the summer as an elite full-scholarship program. Ten or fifteen years ago, the program ended, but someone who believed in the program later brought it to our attention because they believed the Russian American Foundation was an organization that could support the initiative successfully. This was almost seven years ago. We felt right away the value of the program not only as pre-professional training but from a more global perspective. To really understand Russian classical ballet you really also need to be aware of the culture, language and people. So we positioned the program early on to be an all-encompassing opportunity. JD: The Bolshoi Academy is known for developing students with a highly intensive program from a fairly young age. How do you condense that syllabus down for US students who often experience a comparatively diluted regimen over their years of training? RK: I believe that the program has served great value to all parties involved and not just the participants. Many stereotypes were adjusted and broken from both sides. When we first started, the thought was that only students with perfect form could be professional dancers. It was discovered that American students who may not be subject to a strict regimen or have that form are also very talented students that can benefit from the program. We now have 50 students, two that have joined the Bolshoi school, and one that joined the company. 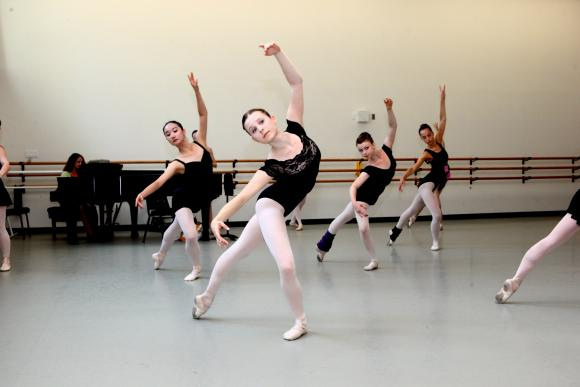 Our students are embraced by the teachers and other Bolshoi students as hard workers. It’s been transformational for both sides. The Academy has grown to respect the dedication of American students. Maybe I would have answered this very differently seven years ago. But these American students are not at a disadvantage. There is a natural amount of talent that is required, but we’ve had students that are shorter or don’t have the typical body. Some work even harder because they are catching up in comparison with the students who have been available to the Bolshoi teachers from such a young age. The fact that the pace in the intensive is much faster and more rigorous than the academy is fact. The fact that students not normally subject to the Russian regimen can maintain that pace with those who are speaks volumes. JD: I notice that for your advanced NYC students, only males are scheduled to have variations class, while only females have rep class. Presuming that the former is solo-based and the latter a concert repertoire, what is the philosophy behind this curricular structure? RK: This just evolved as a natural evolution of what the male dancer needs. There’s still about 5-6 variations taught throughout the program to everyone. Usually this is what the male dancers perform or what they will perform in competition. Some perform in small groups in the performance and some as solos. It’s a wonderful opportunity for the students to have a top coach and we’ve heard feedback on how valuable that has been for them. To answer your question though, both classes are basically the same. They learn variations as a group and then may perform them as a solo or group. JD: What is the immersion scholarship program in Russia? RK: Three years ago, because of how the cultural aspects had affected students and inspired them to learn Russian, we petitioned the state department to take a select group of dancers for six weeks to continue this education at the academy but also have the cultural and language immersion. The state department funded the program as part of NSLI (National Security Language for Youth). The last few years it’s been 15 students each year from the group. Those are selected primarily on academic achievement. So in addition to being great dancers, they have to be good students. In addition to maintaining an intensive dancing regime, they have to spend four hours a day learning Russian. JD: How about the 2 week scholarship gala program? RK: We select one leading female dancer and one leading male for that. They train for 2 weeks and that is purely based on recognition for their dancing ability, so there is no academic component like there is for the group program. JD: This is a competitive summer intensive, no question. What is the atmosphere like for students? How do you ensure it remains healthy? RK: We actually discuss that up front because we think it’s important for the dancers and parents to understand this up front. For us, once they are accepted, it’s very important that they know we like good people here. We have certain behavioral rules that must be adhered to. Once in the program, we do not tolerate any competitive negative behavior. In the New York location we are state certified on the level of a regular camp, so we have a complete staff that oversees that aspect. I personally pay a lot of attention because the students are expected to work so hard. In Connecticut especially we try to make sure it’s just a fun summer for the students, and they have activities that promote a positive atmosphere. We want them to know that you will need to work very hard, but being unconstructively competitive is a different thing. One of the things families should know is that we’ve instituted a change this year. We’ve noticed that in the past the level structure 1, 2, 3, 4 was so emotionally unhealthy. So this year each group is assigned a lead teacher because any time spent on emotional competitiveness is wasted time. We don’t believe that unnecessary, “Why is he or she in this level?” is useful. So we make a speech up front where we present our view on this. JD: The marketing for the BBASI emphasizes dancers who graduated from the Moscow year-round program. Do you have any statistics yet on the number of US summer intensive students who have achieved professional careers? RK: Two to top Russian companies were accepted this year. Many students don’t follow up to let us know where they are. We have students accepted to Penn Ballet and ABT, but those are only the ones that report back to us. JD: What can students expect to get out of the program that sets it apart from many quality programs now available in the US? RK: I believe two things set us specifically apart. We recognize that there are many top programs here and we believe we are a very good supplement to those programs during the year. First, we have a whole system here. Every one of the teachers is trained and works year round as a team. Most were students of the Bolshoi Academy, danced as the company, and trained to teach there. They have dedicated their whole lives to that technique, so every step and class is part of a holistic program of master teachers in one purified approach. That works amazingly to achieve individual progress, and I think that’s what we’re known for. For the younger group, we have the same dedication to making it an enjoyable summer experience, and we have a professional, fun staff which we hire to run other activities. That makes it a great summer experience compared to other programs that don’t have the same structure, facilities or supplementing to remember the kids are having a summer. Obviously, our dedication to introducing students to the culture is paramount and that is the second point. It’s the holistic system of training as well as expanding their personal horizons in Russian culture and language. JD: What qualities are most important to your adjudicators? RK: Desire and ability for the student to work hard. That can be seen in the hour and a half that we are there auditioning. Students that think they can succeed anywhere are not necessarily going to succeed in our program. We want students that understand that our program is about working hard. We say one of the issues all teachers try to address is that the dancers need to show the audience how much they love to dance. As much as we say it to them there aren’t many who are able to achieve it. If they are not as strong technically but they are glowing and you can see their desire to dance… We just need to see their heart and dedication to hard work. JD: Have behaviors ever been exhibited that have disqualified students? RK: We don’t tell anyone to leave right away, but if someone is not paying attention, that’s a sign of someone that’s going to be like that, and we will get frustrated, so those are red flags that we watch for. Sometimes students can’t survive the whole audition and they leave. Those are rare cases, but they happen. Most of the dancers that come to audition now know what they are getting into. JD: Have exceptions ever been made for the age minimums or for the age maximums? RK: No on the minimums. For the age maximums, sometimes for Connecticut, but it’s determined individually. If we believe they won’t be sufficiently challenged, that’s what we’ll say. We have some professional students in their 20s that come to New York. JD: Would you consider New Orleans for future auditions? We have an underserved demographic of talent in the area. RK: We’ve never been to New Orleans but would consider it in the future. JD: Finally, what has been the high-point for you, being a part of this incredible initiative from the start? RK: Luckily, there have been many high-points because the program has had so many challenges! Being responsible for other people’s children is huge. The thank you letters that we get have cited not only transforming people on the dancer level but also the new opportunities, the global awareness. That has really moved me, as a mother. I love that this program keeps me going. When we first started, the New York Times dedicated a reporter to covering it for five weeks. There were so many stereotypes in there that were painful. When they published the new Joy Womack article, it was very classy and sophisticated. It has changed not only us but the Academy. How excited the teachers are to see returning and new students! Even the Russian Ambassador to the United States said we are one of the great success stories of the Russian American dialogue. Thank you again to Ms. Kirshner and the Russian American Foundation for bringing this wonderful program to the states! For more information and audition tour dates, please visit http://www.bolshoiballetacademy.com/. Summer Intensive Handbook on Sale! You can follow me using the Follow Me button on the left side of any page.